The ultimate all day vape, this is our take on the classic RY4. 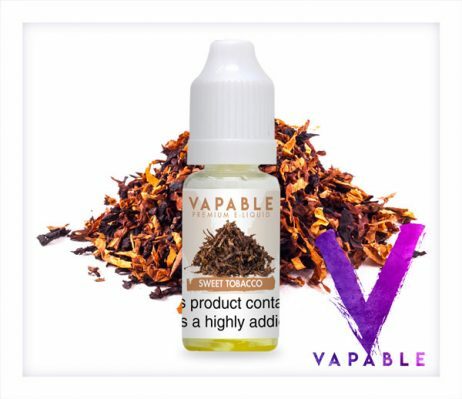 Sweet Tobacco (RY4) E Liquid is the ultimate tobacco flavour all day vape. Although the main flavour is tobacco, you won’t feel like you are vaping a tobacco flavour, because it is so deliciously sweet. Many say the sweetness comes from caramel and vanilla notes, but you need to try it to really find out for yourself why it is so popular. Why is this flavour called “RY4”? It comes from the original e-Cig produced by the Ruyan Group Ltd, who launched the first production electronic cigarette on the market back in 2004. The name ‘Ruyan’ was commonly shortened to just RY, with the flavour blend number being placed after it, thus ‘Ruyan blend #4’ becomes just RY4. 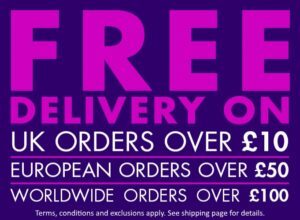 THE best tobacco flavoured ejuice, as all other reviews say and THE best vapeing people to buy from are Vapable. Possibly my all time favourite. I spent a lot of time trying other RY4's. Forget the rest - try the best! After my usual supplier ceased trading I have bought and sampled a number of RY4 mixes. Most, if not all, were dark and smokey tasting and not much use for all day vaping. The Vapable RY4 is, thankfully, light, smooth and great for all day use or as a base mix for adding a little strong flavour to. Without doubt this will be my new favourite. Possibly my all time favourite. I spent a lot of time trying other RY4’s. Forget the rest – try the best! Really good flavour, not too harsh on your throat.Will be buying this again. Really realistic tobacco flavour…sweet taste too..not stale dog end taste like many other tobacco flavour liquid. Lovely sweet flavour. Great all day vape. Ordered in 12 mg and it was not too harsh. Nice and smooth and better than other leading RY4s I have tried. Great service and delivery as always. This is a great all day vape, I’m ordering a big bottle. One of my favourites . Tobacco taste but sweeter giving no aftertaste,great flavour. I always buy this one along with a few other new ones to try . 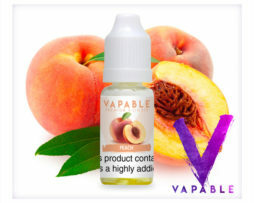 I’ve tried several liquids from various companies (usually more expensive and not UK made or as good) and this has to be one of my favourite a smooth sweet vape just the right amount of throat hit another top product at a good price.